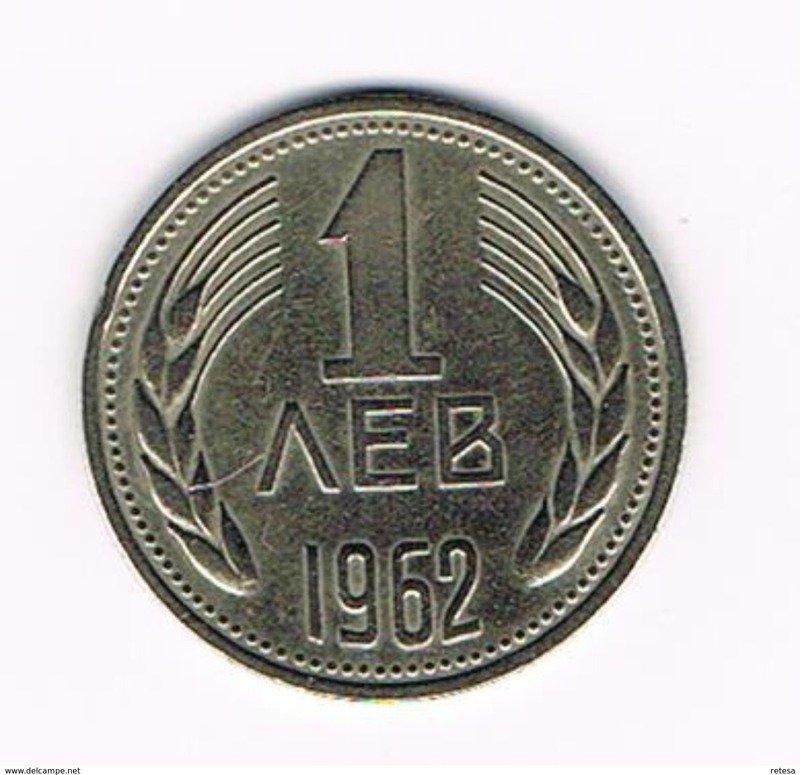 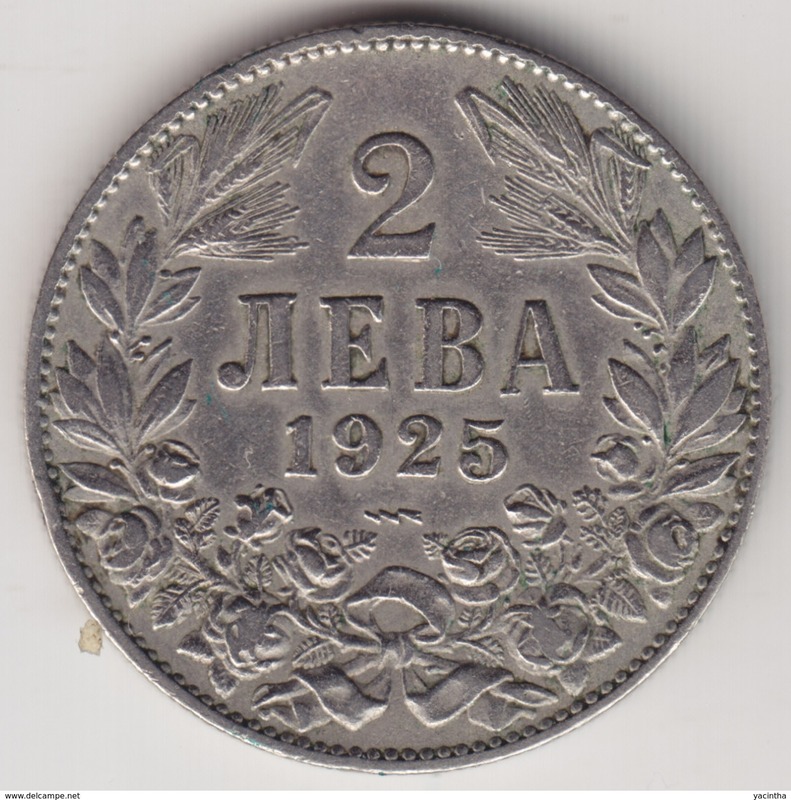 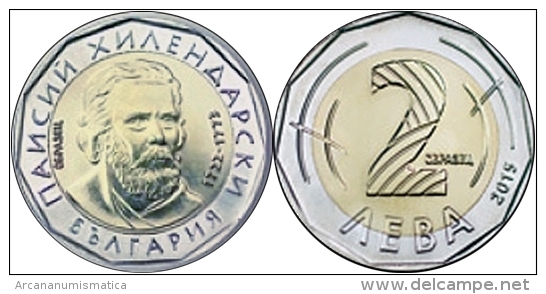 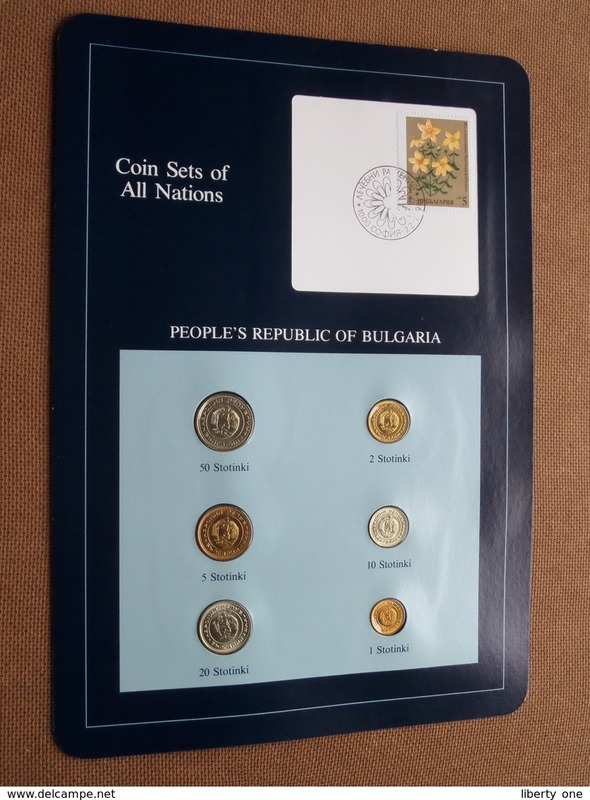 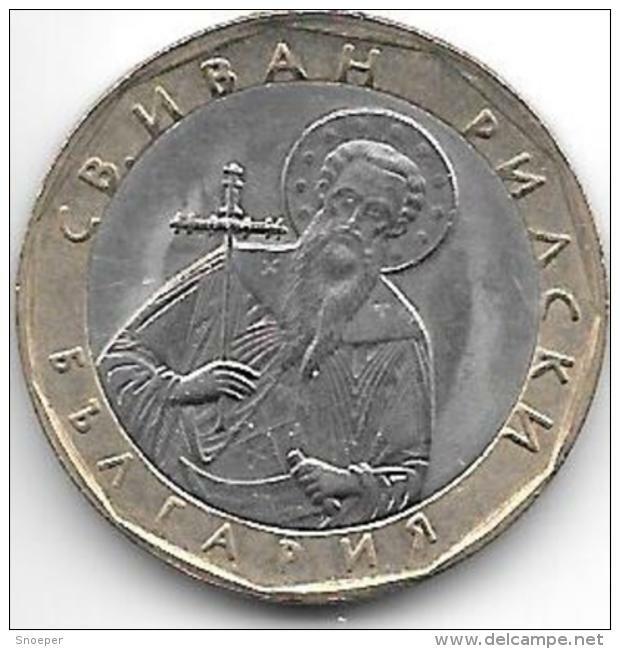 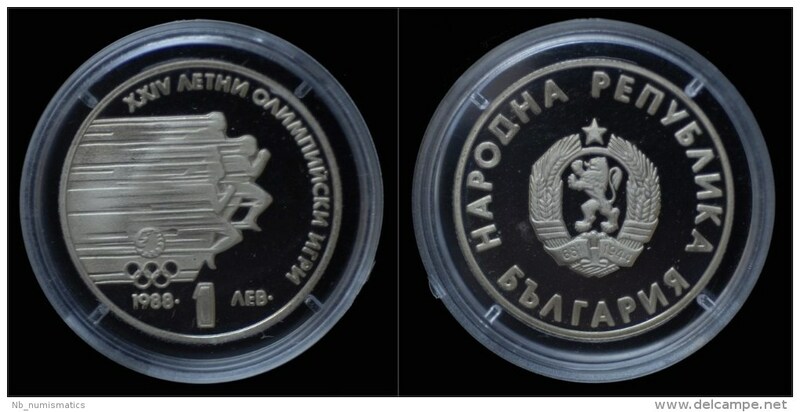 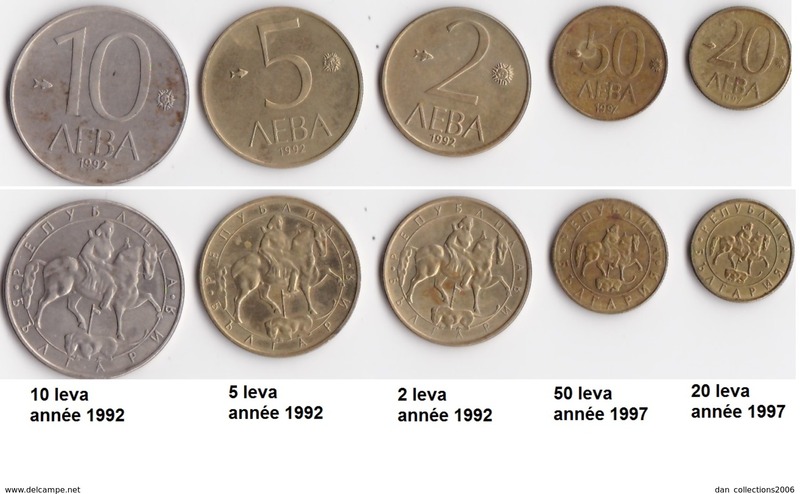 PEOPLE'S REPUBLIC OF BULGARIA ( from the Serie Coin Sets of All Nations ) Card 20,5 x 29,5 cm. ) 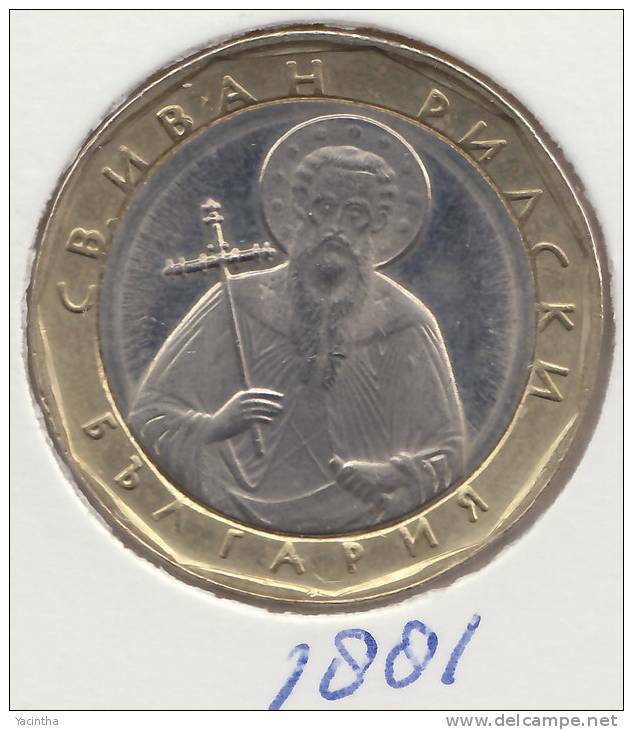 + Stamp '81 ! 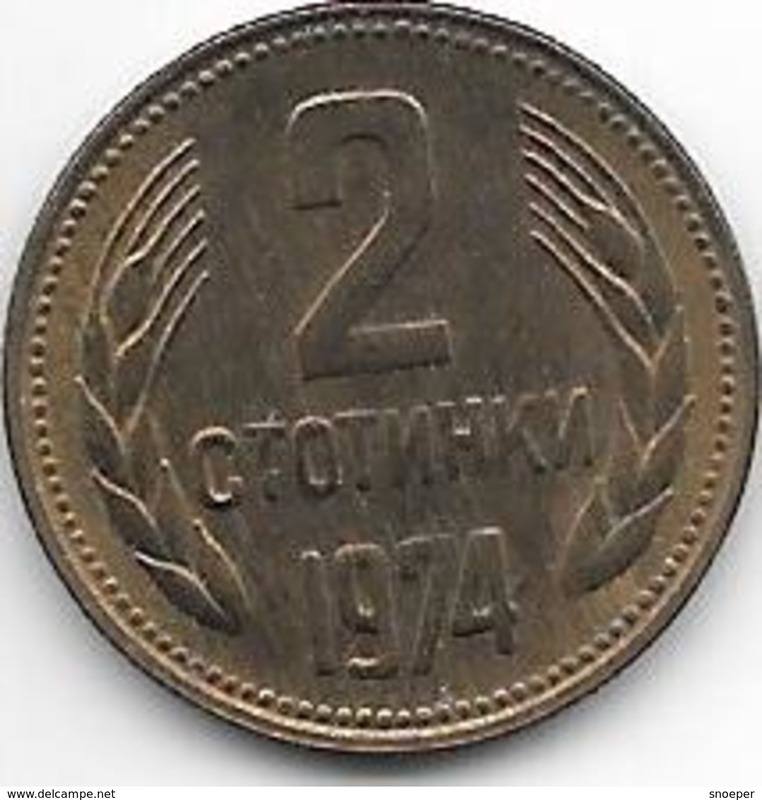 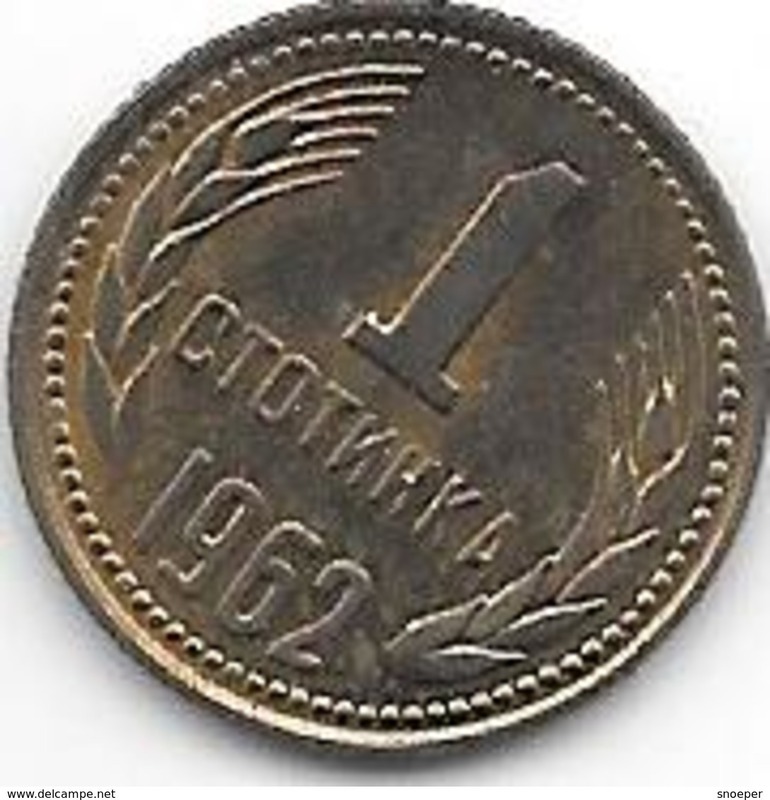 Bulgaria 1 stotinka 1962 km 59 unc!!! 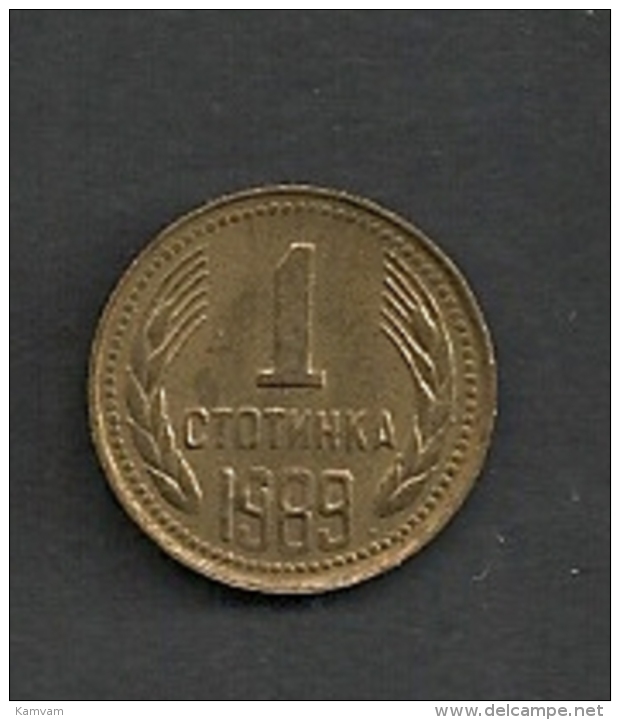 1881 - 5 Stotinki / KM 2 ( Uncleaned coin - for Grade, please see photo ) !! 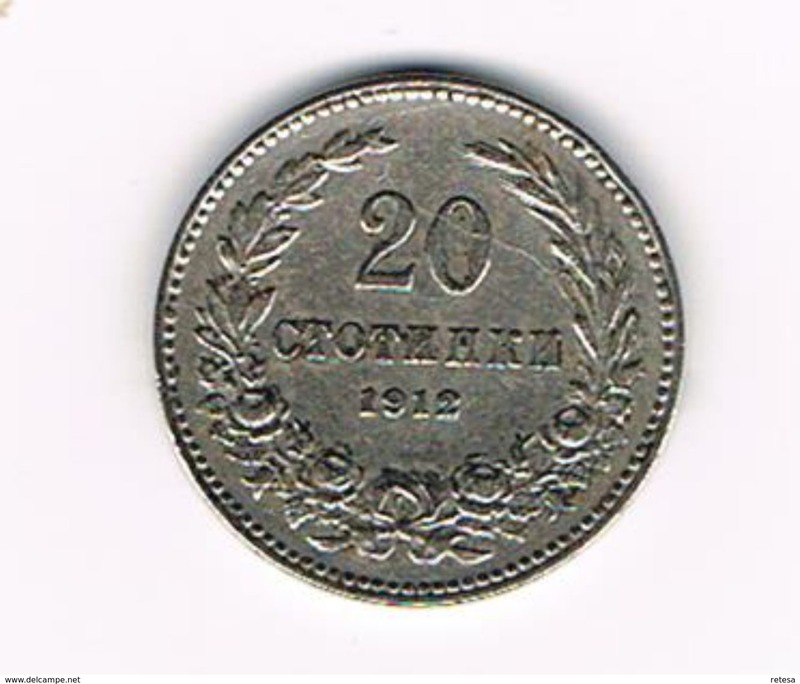 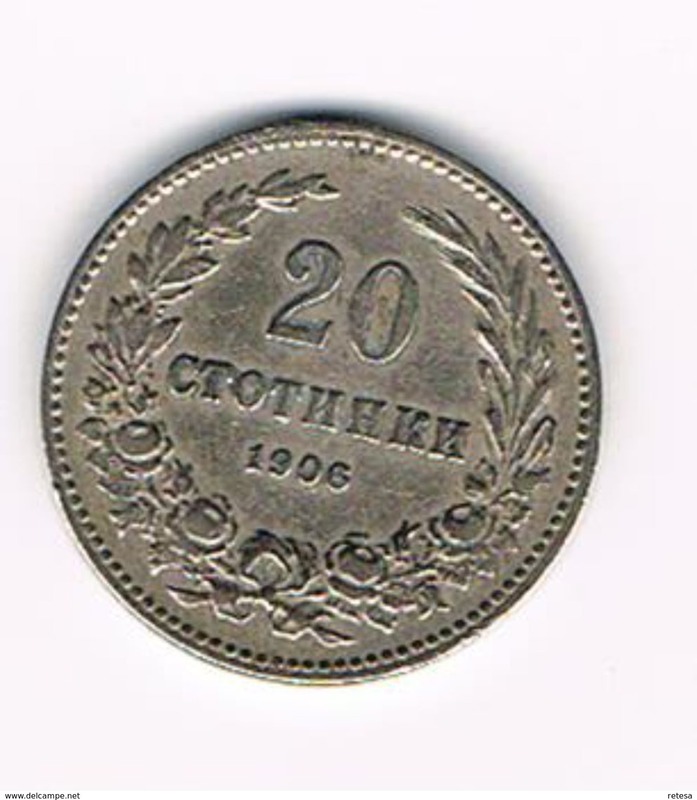 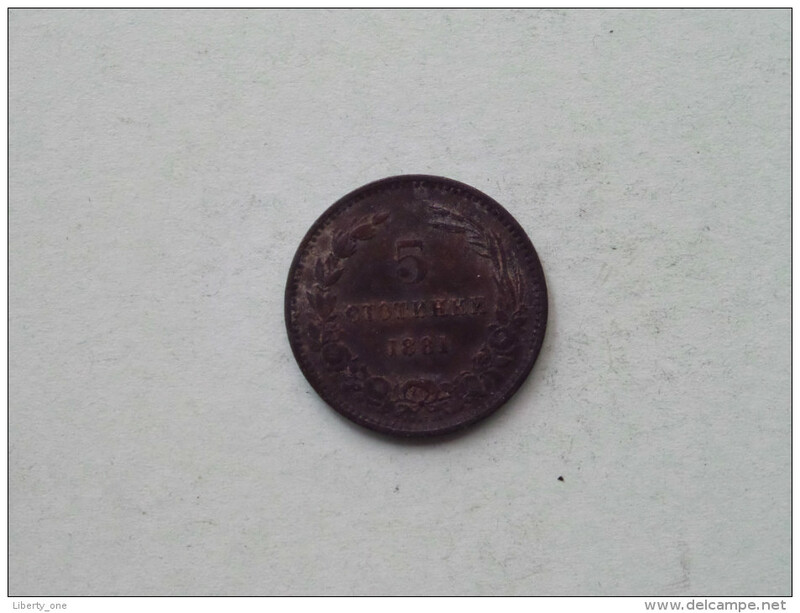 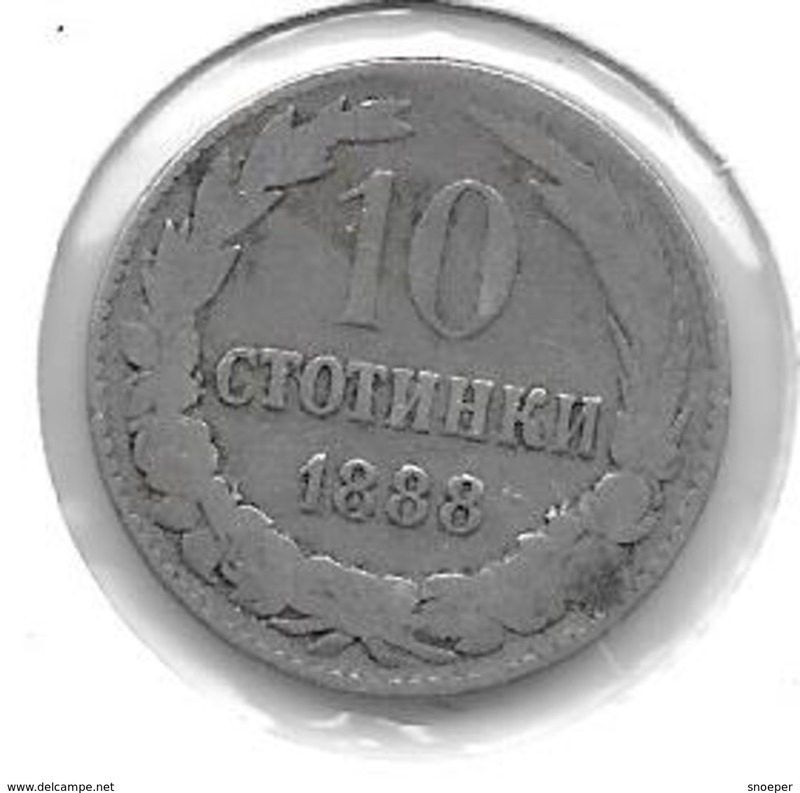 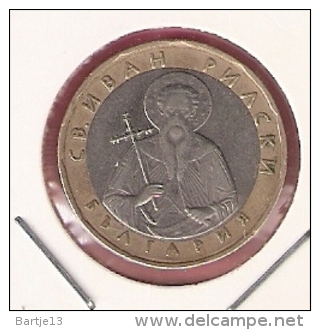 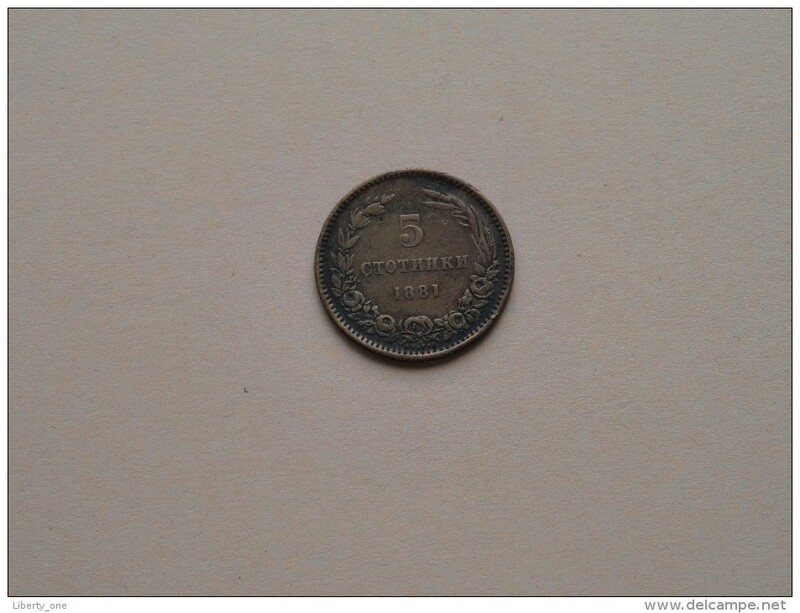 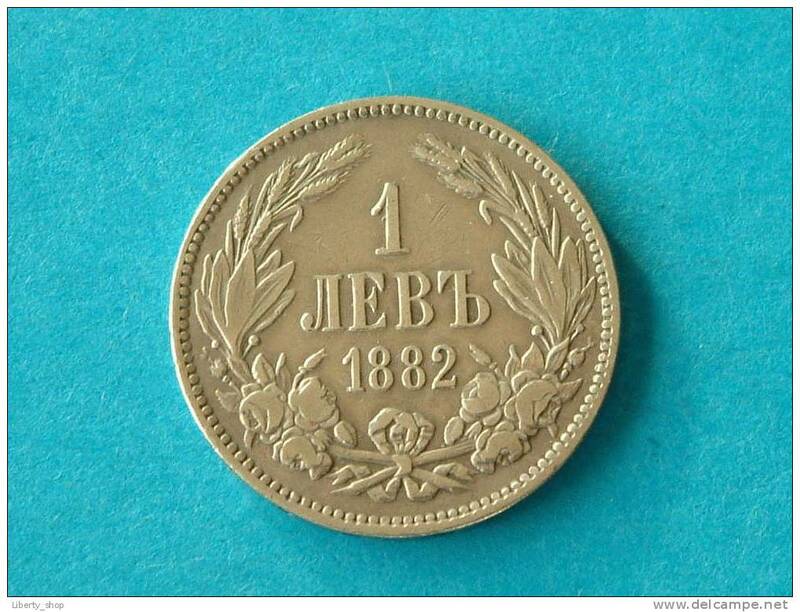 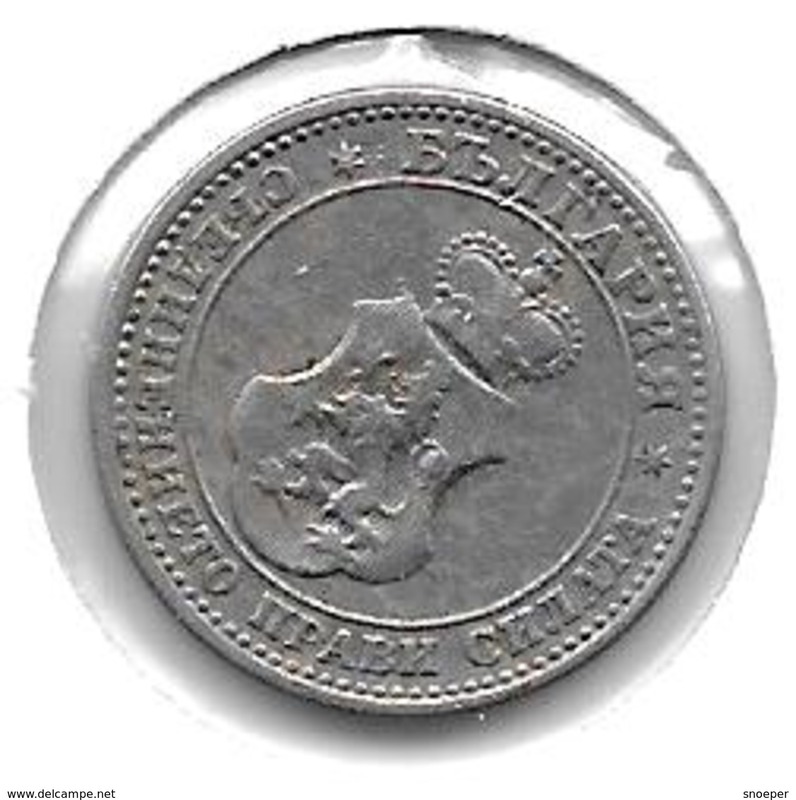 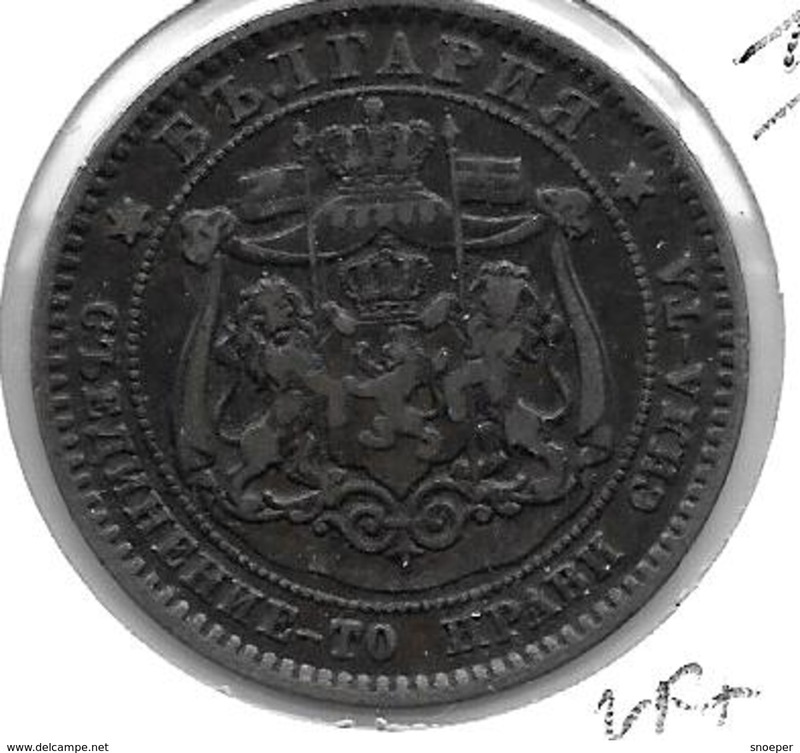 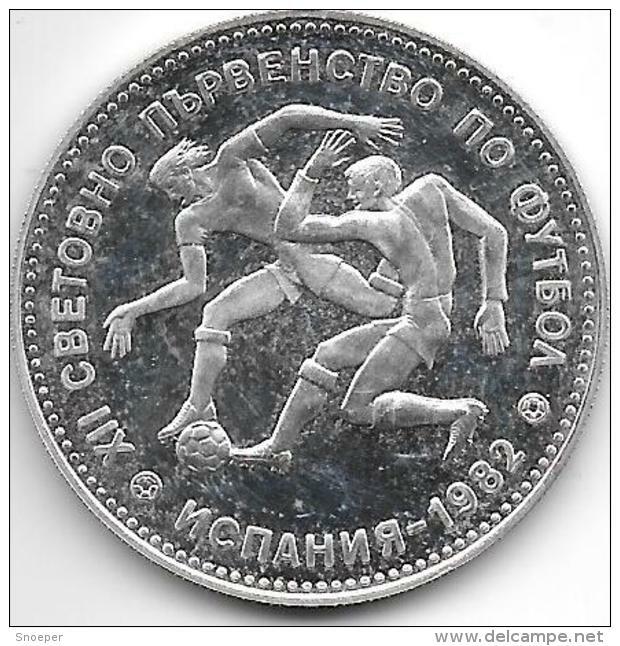 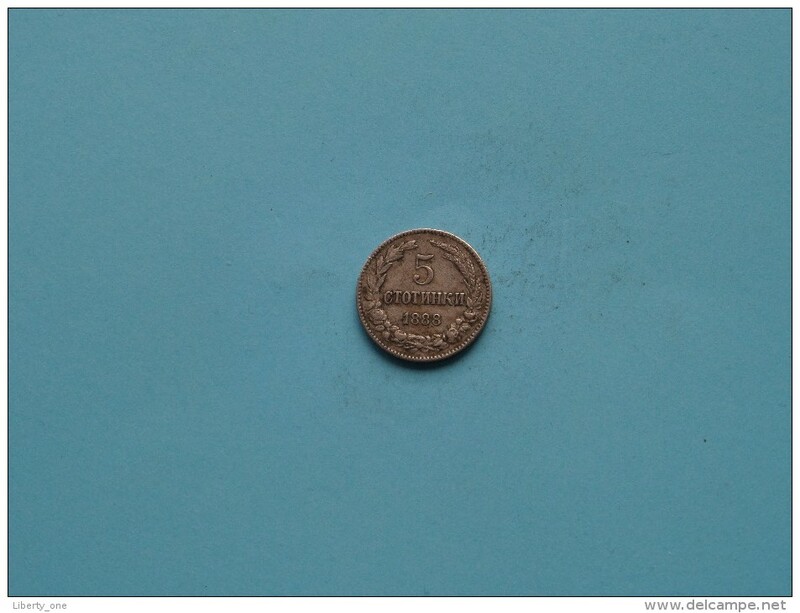 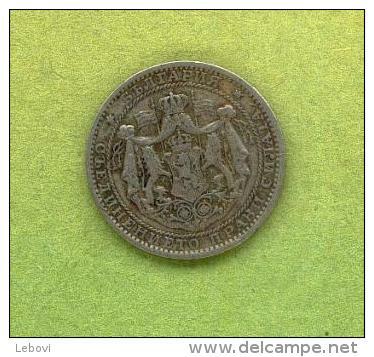 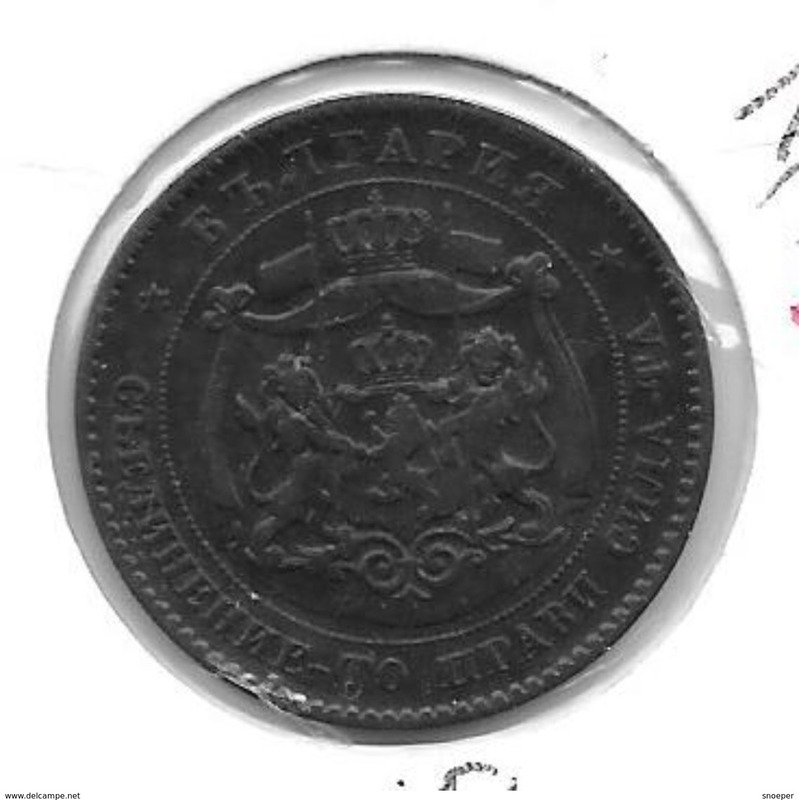 1888 - 5 Stotinki - KM 9 ( uncleaned coin / for Grade, please see photo ) !! 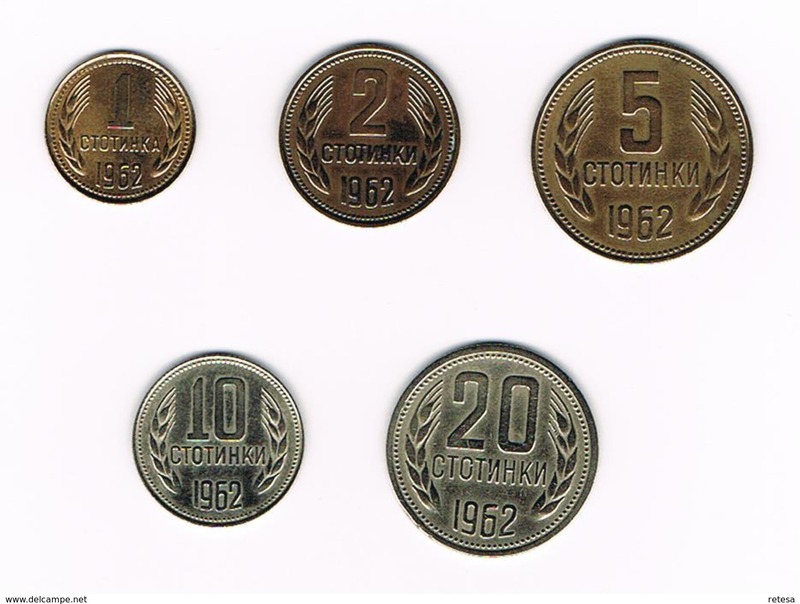 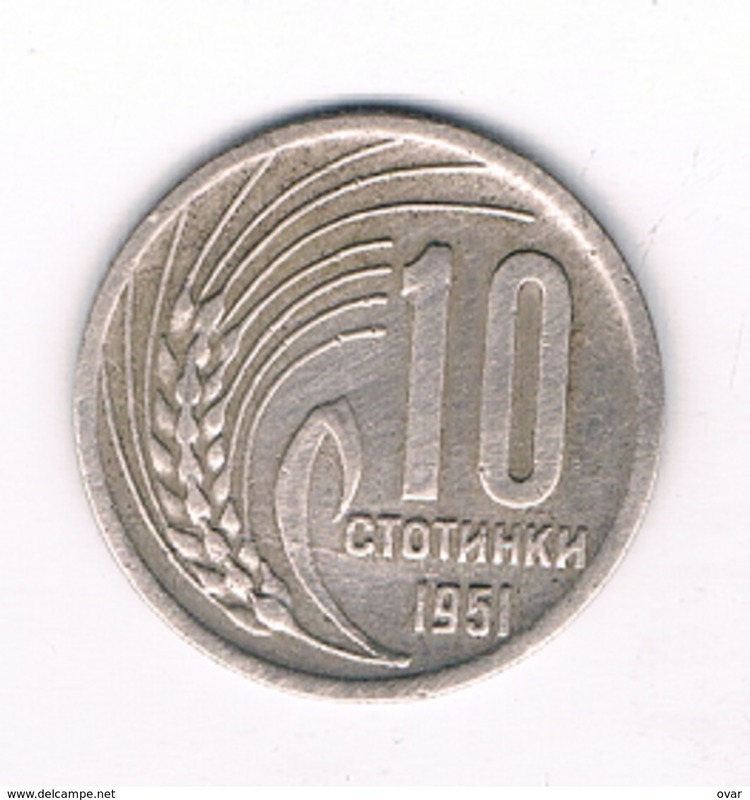 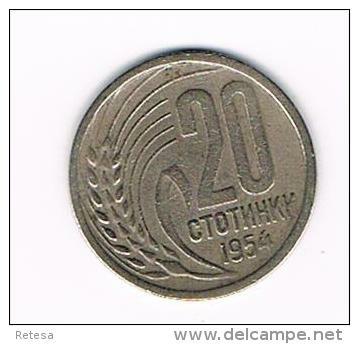 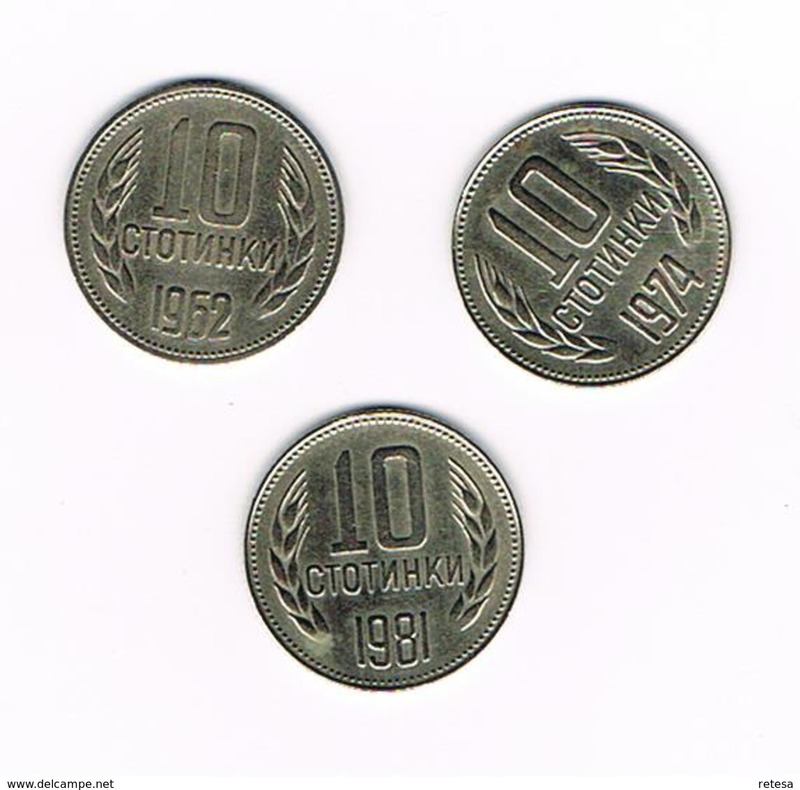 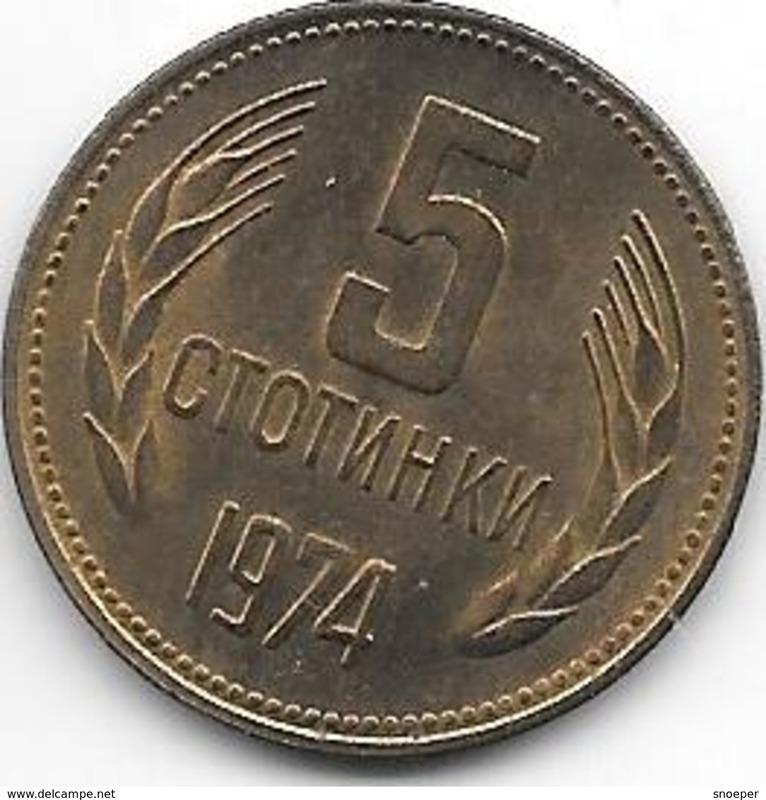 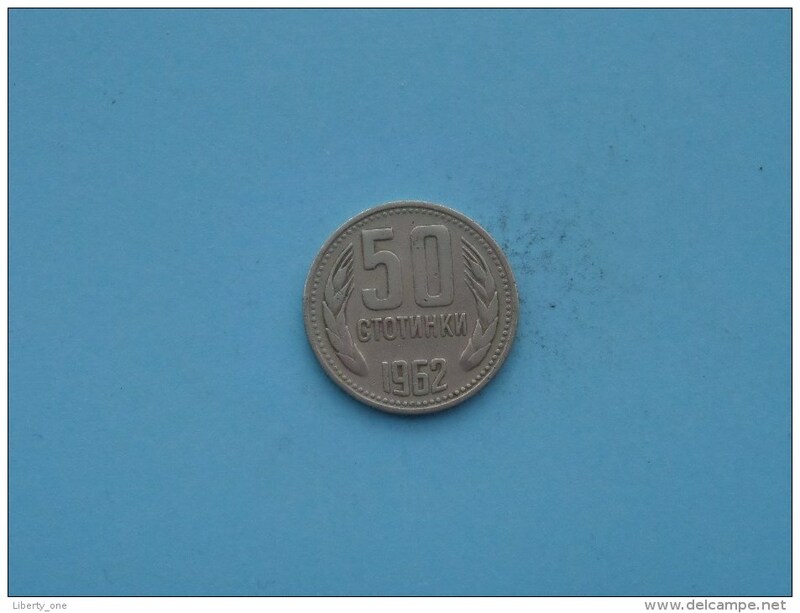 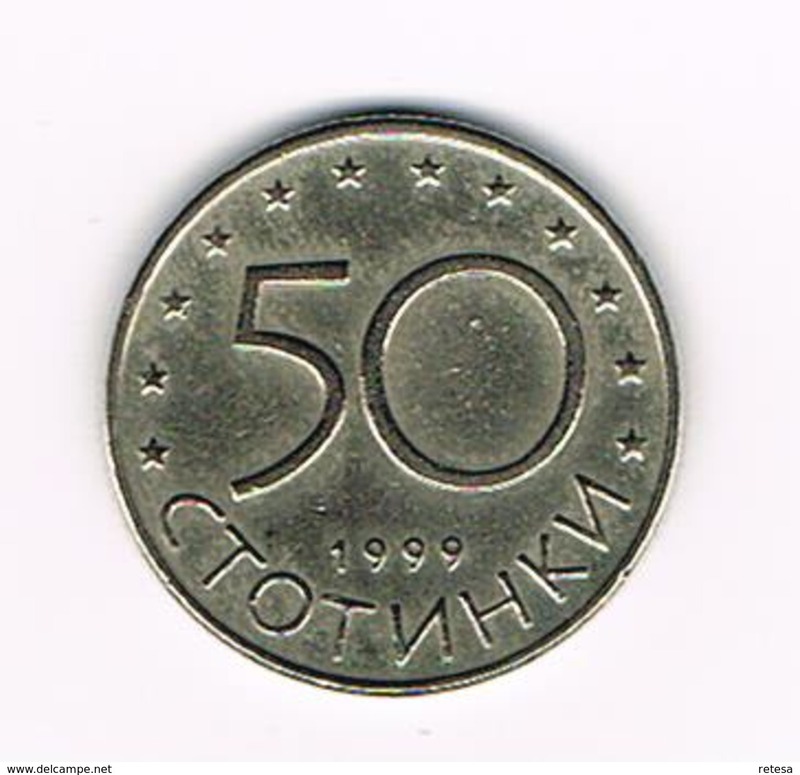 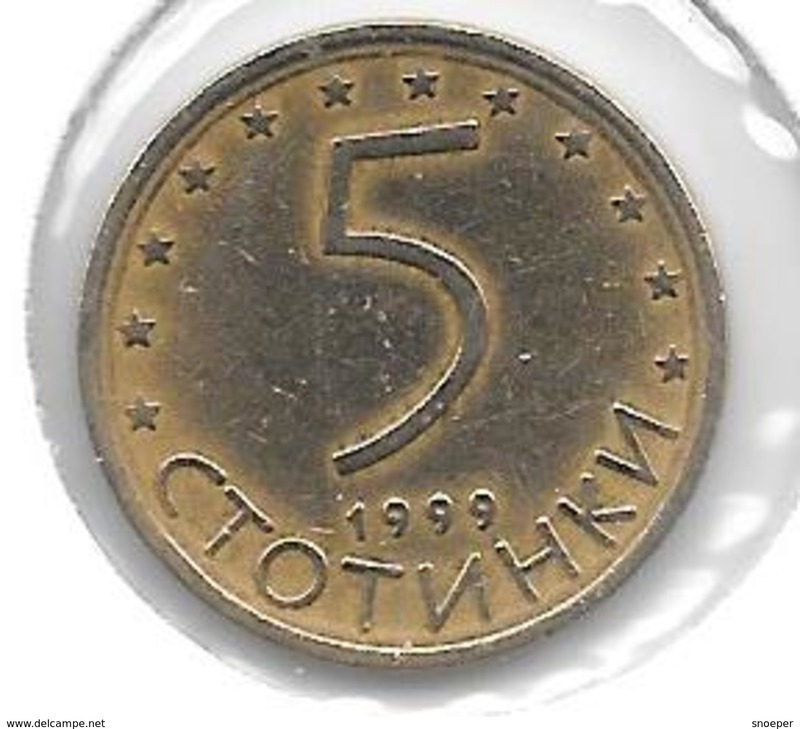 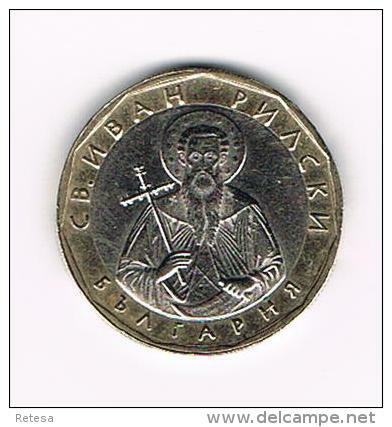 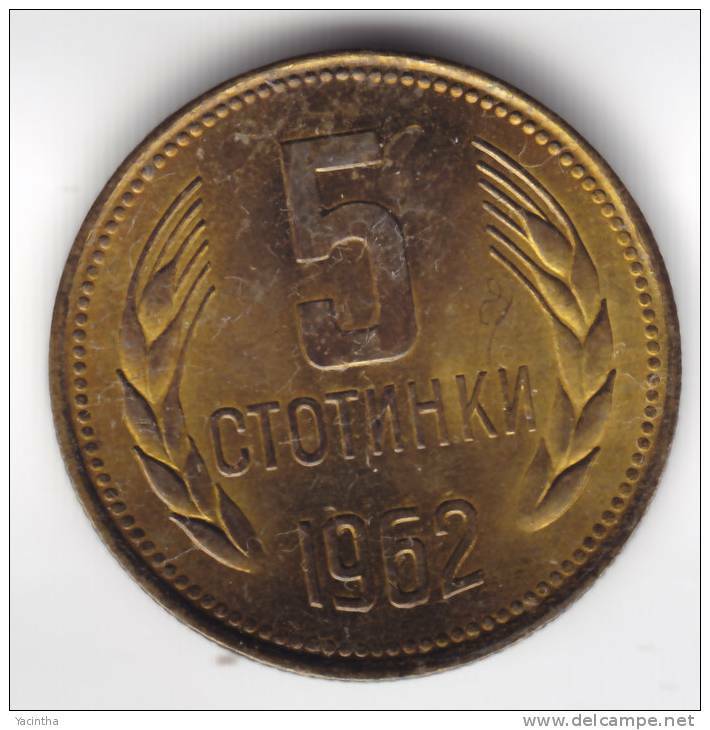 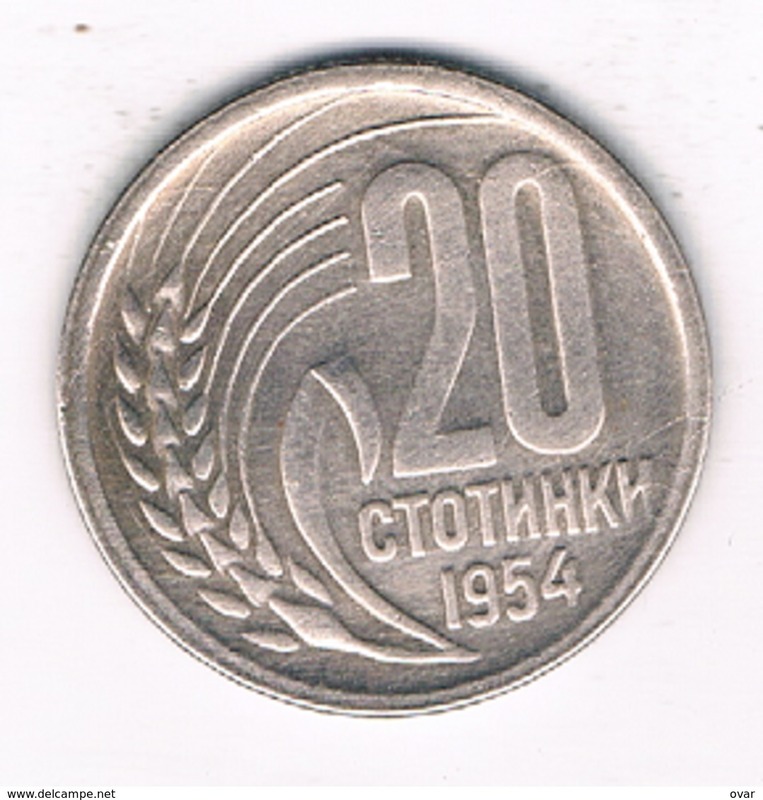 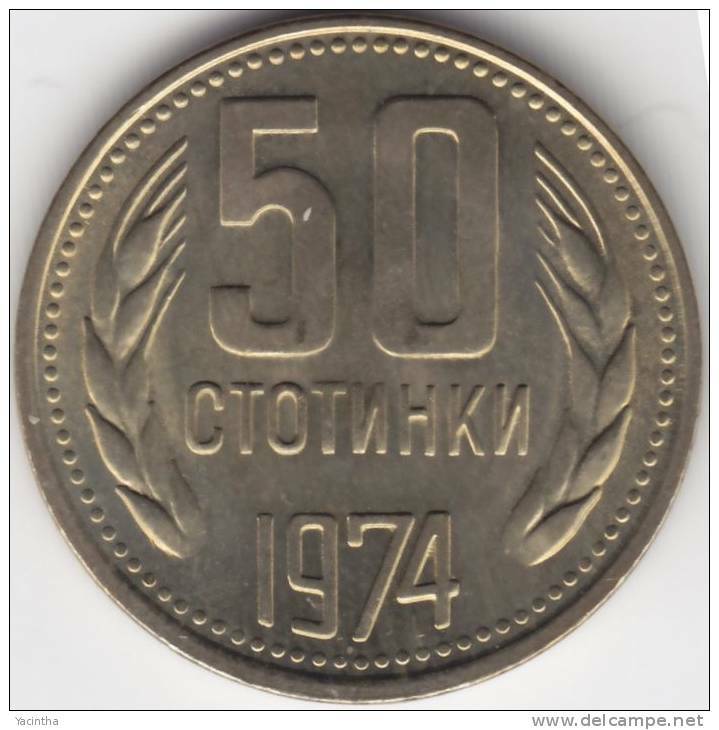 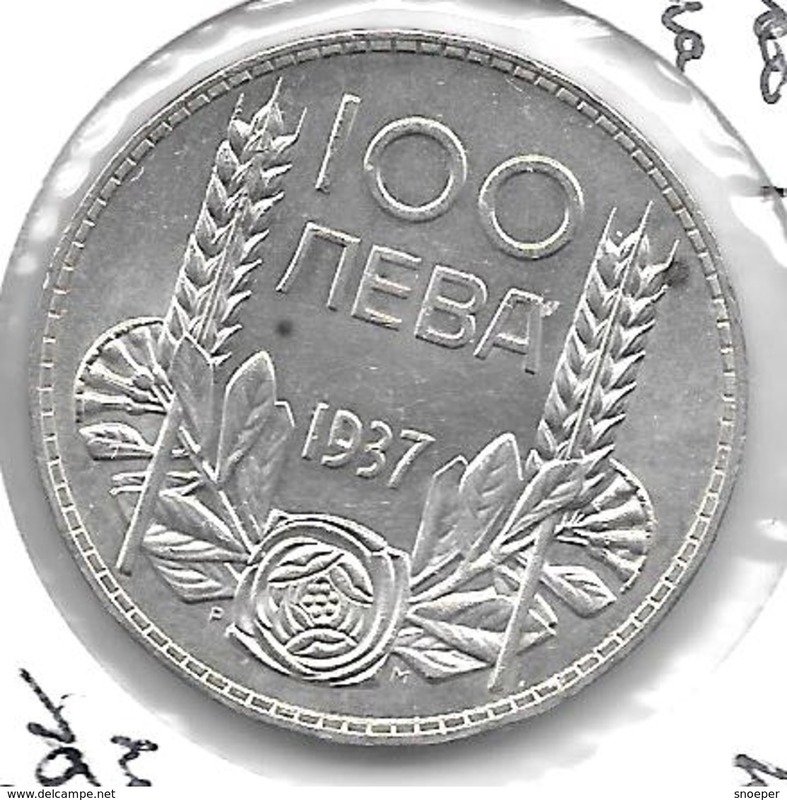 1962 - 50 Stotinki / KM 64 ( uncleaned coin / for Grade, please see photo ) !! 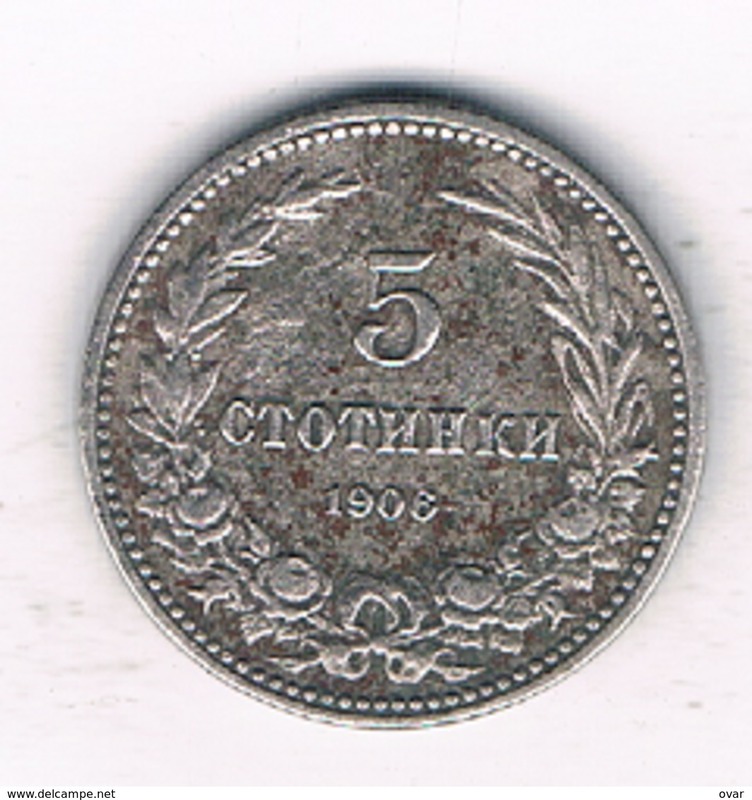 1881 - 5 STOTINKI / KM 2 ( Uncleaned - details zie foto´s ) ! 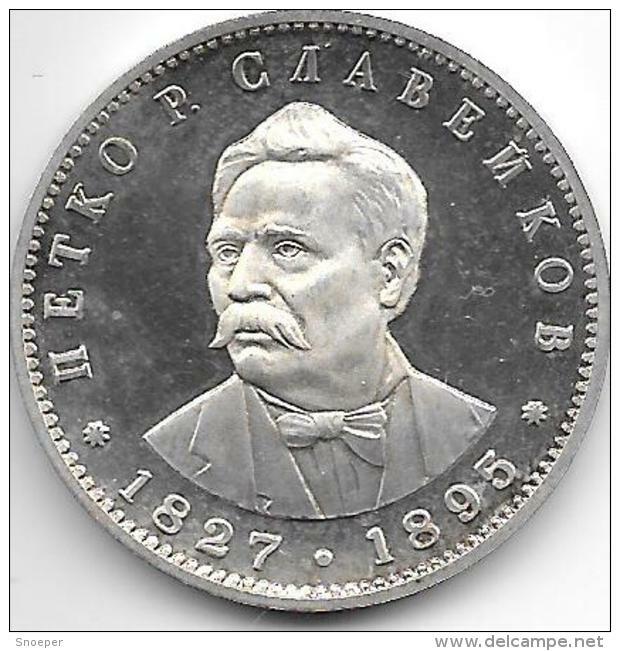 1882 - 1 LEV / KM 4 ( for Grade, please see photo ) !! 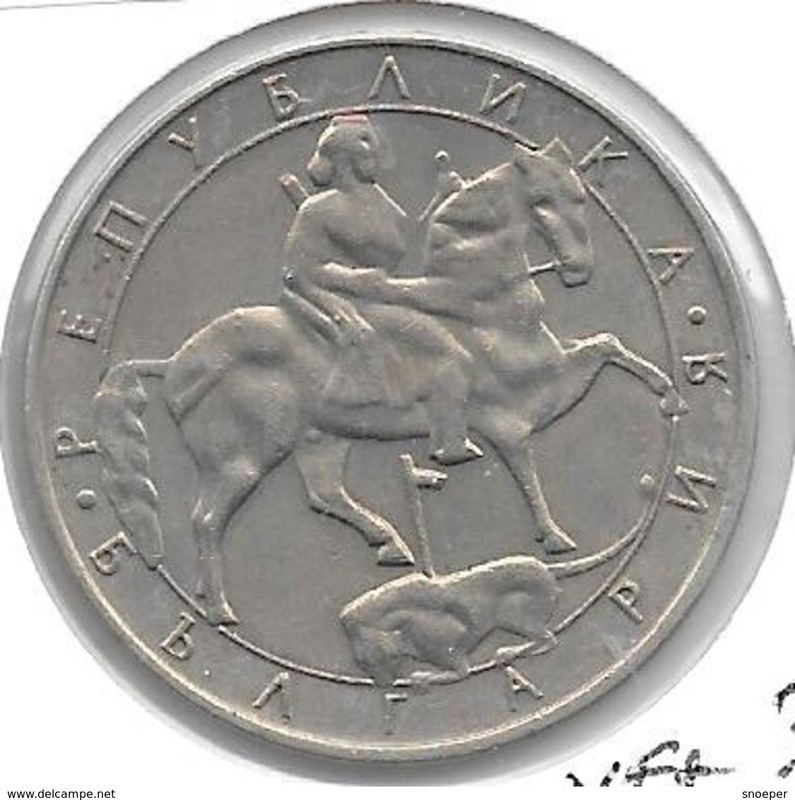 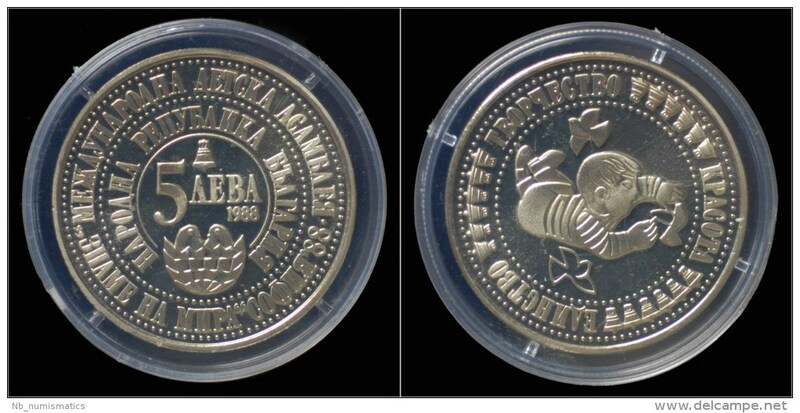 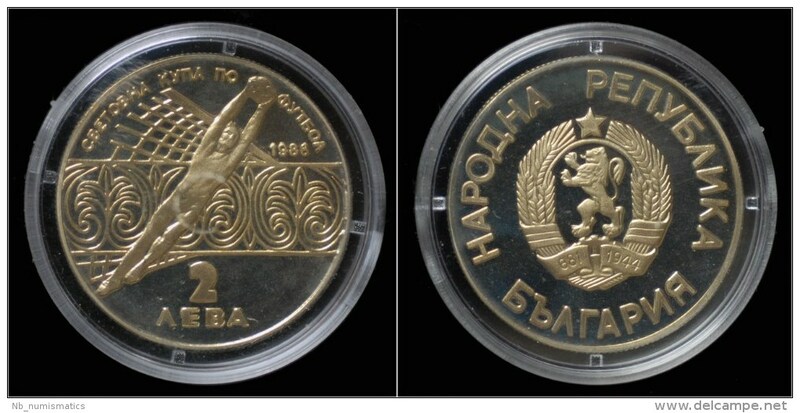 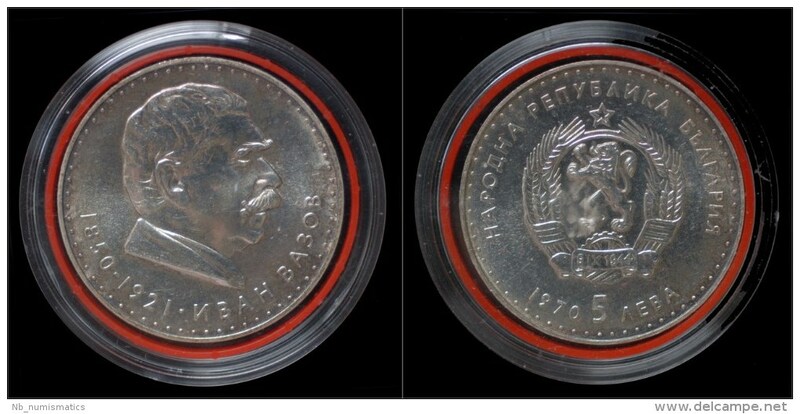 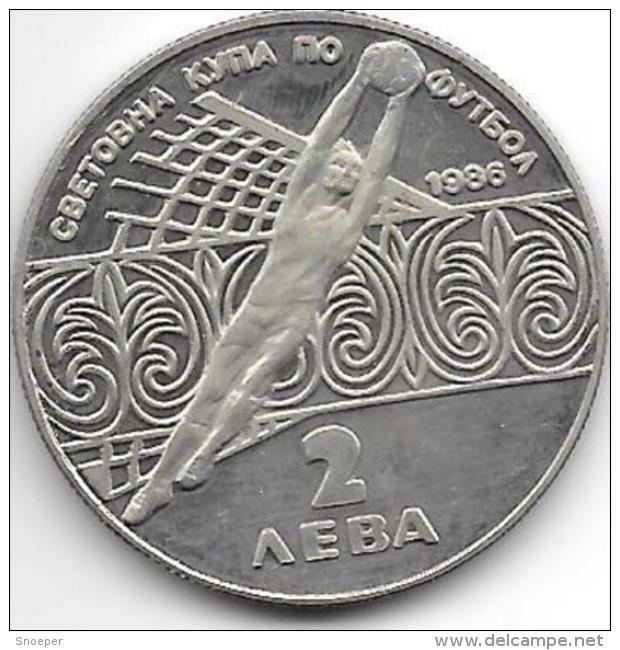 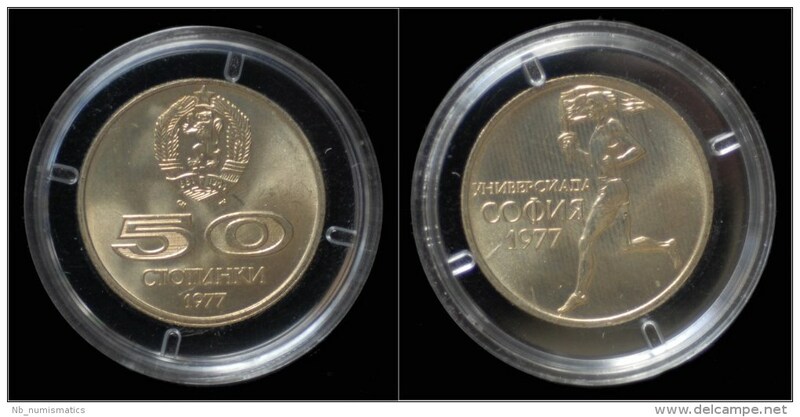 *Bulgaria 5 leva 1977 km 99 proof rare !!! 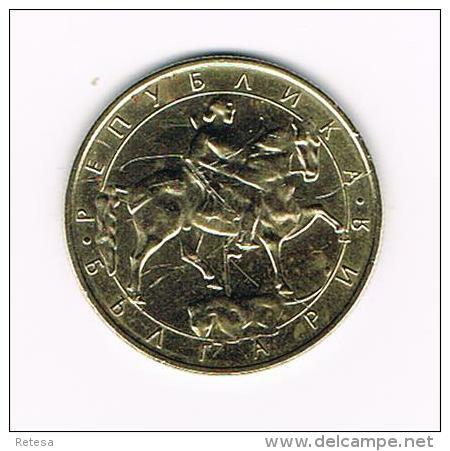 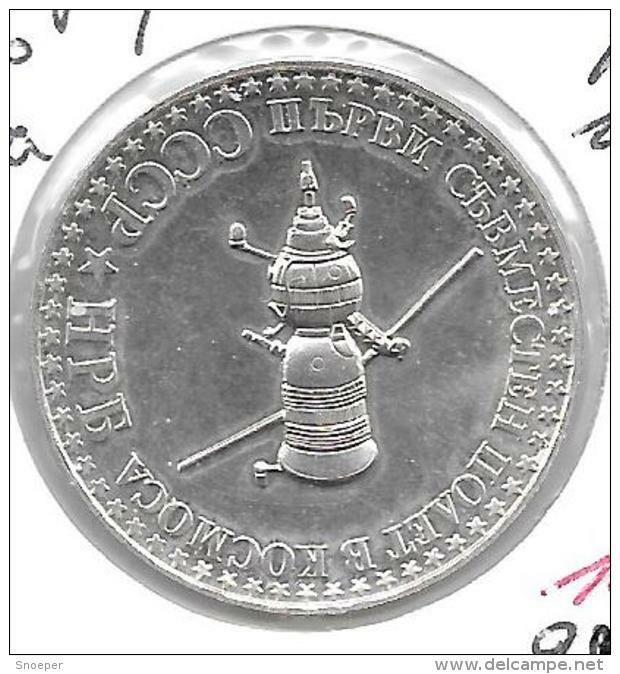 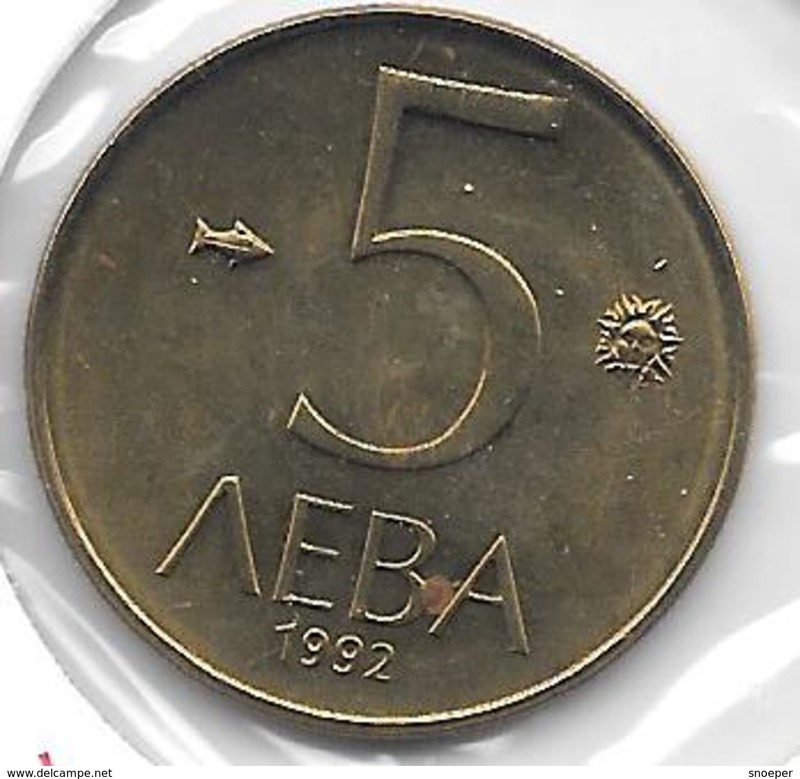 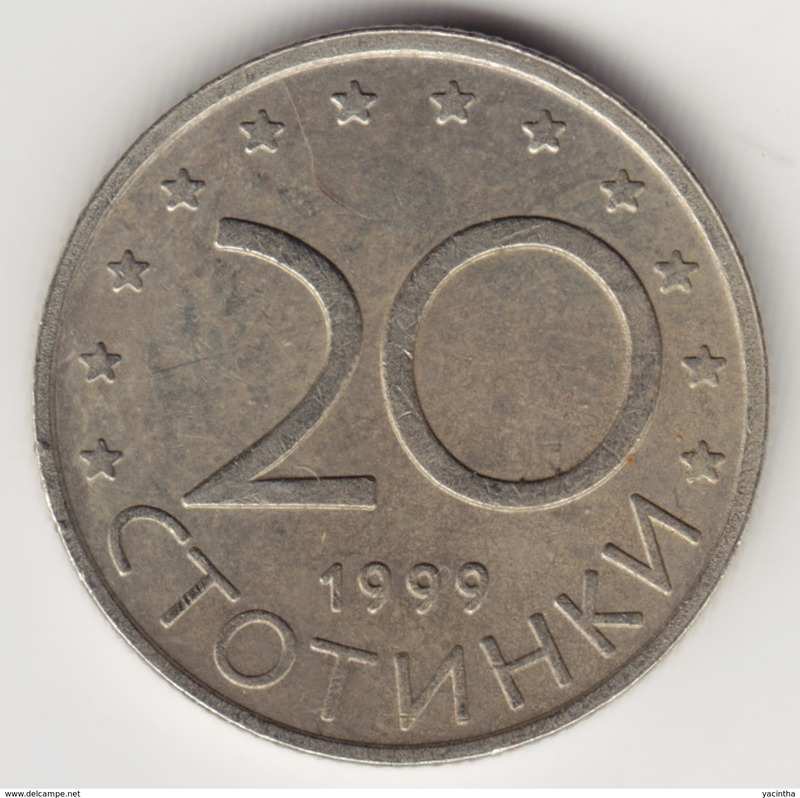 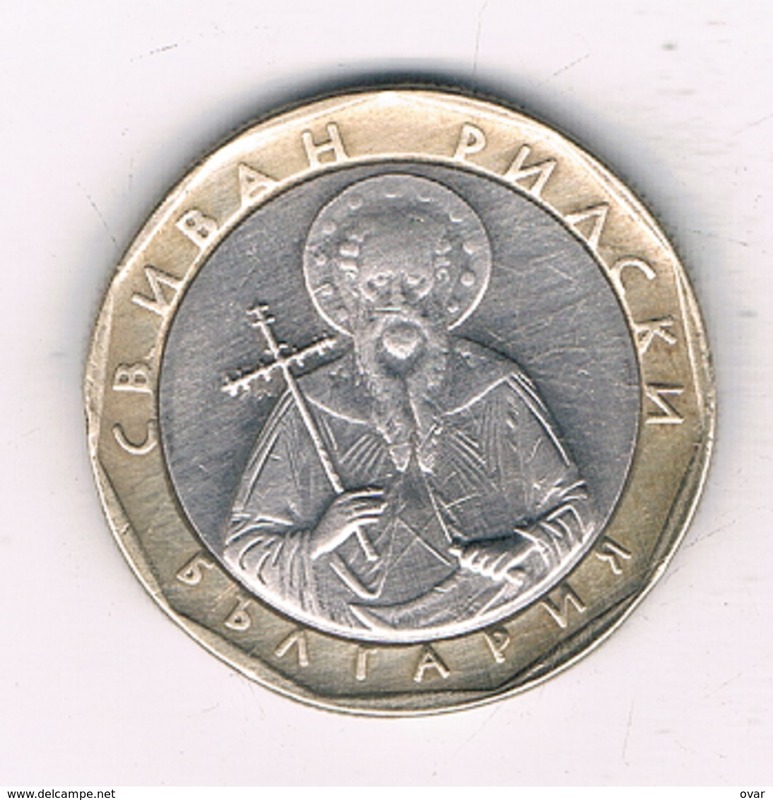 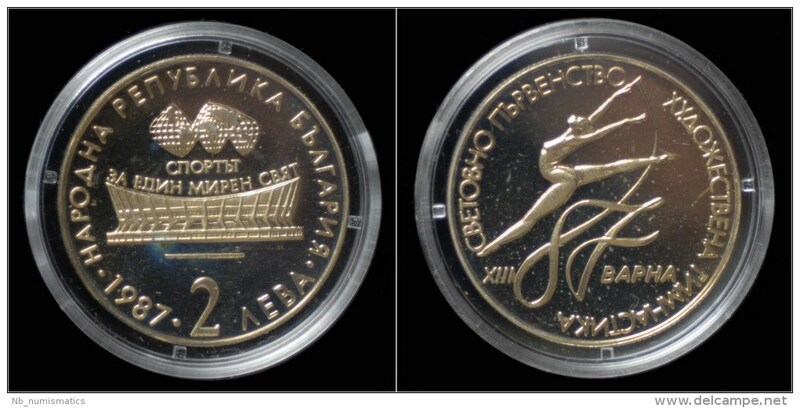 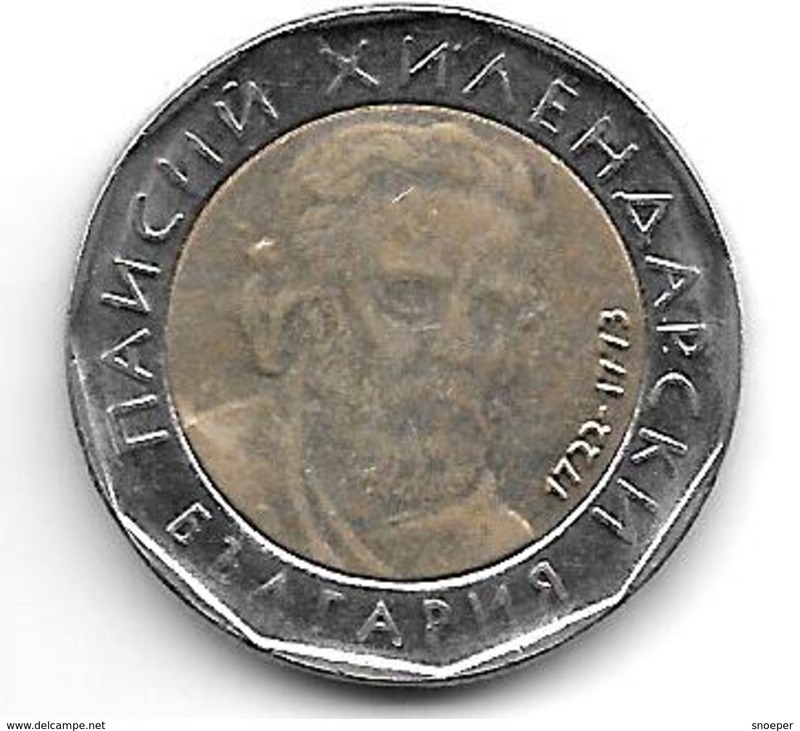 Bulgaria 1 leva 2002 km 254 unc !!!!! 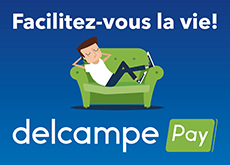 Il y a 4369 objets pour votre recherche sur Delcampe International.